What Actions are being taken at this time? What does Multi-Site Campus Mean? Why Are Our Churches Considering a Merger? What Would the Merged Church Look Like? What Steps are being Taken by the Task Force Now? When will the Congregation be able to ask Questions and Provide Input? What is the Timeline for Making a Decision to Merge? Who Can Vote at a Church Conference? • Simpson UMC has paid off all past due apportionments and is preparing documents to close and transfer assets to Westlake UMC. Historically significant items from Simpson UMC will be sent to the East Ohio Conference archive. Property deeds and all utilities are being transferred to Westlake UMC. • On July 1, the Simpson location will be reopened as the Simpson Metro West Campus of Westlake United Methodist Church. The Westlake location will be known as the Suburban Campus of Westlake United Methodist Church. • Worship times at Simpson Metro West campus will be adjusted mid August. • The Simpson Metro West Campus will have new outdoor signage welcoming the neighborhood. • A refreshed website that addresses the whole church as well as both campuses is being planned for the fall. • Housing for Rev. 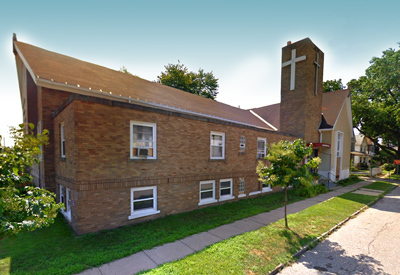 Paige will be rented at the old First Hispanic UMC parsonage on Lorain and West 44th street within the expanded geographical area of focus of the Simpson Metro West campus. The North Coast District will do renovations and Rev. Paige will move in sometime in October. We will rent the parsonage from Avon Lake Shore UMC for her housing July - October eliminating a temporary move. • Trustees have lighting projects underway at the Simpson Metro West campus to bring emergency lighting up to code along with adding GFI outlets in the kitchen. • A process for the Simpson Metro West Sunday offering to be transferred to and counted at the Suburban Campus has been developed to begin July 1. • Simpson Metro West membership records are being added to the WUMC membership database. • All Sunday bulletins will be printed at the Suburban Campus. A shared bulletin insert is being developed. April 22, 2018 – The Staff Parish Relations Committee is pleased to announce that Bishop Tracy Smith Malone intends to appoint Rev. Paige Boyer to serve alongside Rev. 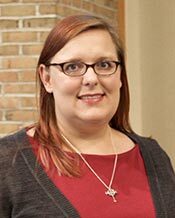 Mollie as our new associate Pastor to Westlake UMC effective July 1, 2018. The motion for One Church in Two Locations was AFFIRMED by an 84% majority vote on 4/15/18 by the congregation of Westlake UMC. Church Conference for Vote on One Church in Two Locations at 11:00 a.m 4/15/2018. A Church Conference has been scheduled for April 15 in the sanctuary. The purpose of the Church Conference is to vote on the direction that has been approved by the WUMC Leadership Council for this church to become one church with two locations by receiving the membership and assets of Simpson UMC. We will also vote to approve five current Simpson UMC members to become members of the five required church committees. This will be a historic day in the life of Westlake UMC. Therefore, we will all come together and have ONE worship service that day beginning at 10:00 a.m. Our District Superintendent, Rev. Dr. Steve Bailey, will preach at that service. At the end of the worship service, Dr. Bailey will convene the church conference. Per The Book of Discipline of the United Methodist Church, all professing full members of the local church present at the church conference may cast a vote. 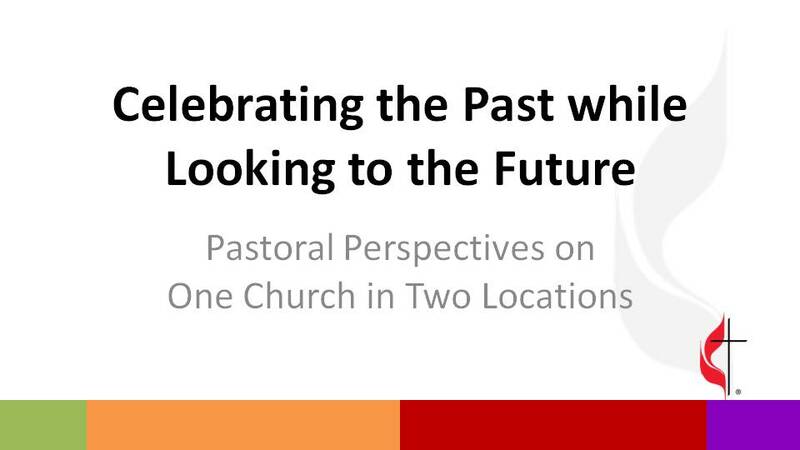 A video featuring perspectives from clergy associated with Simpson and Westlake was shown in worship on March 25th. 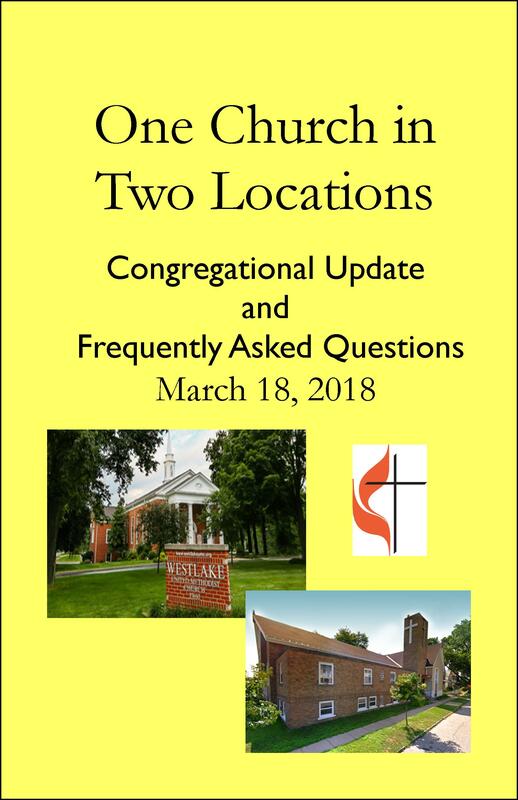 If you have not received a copy of the "One Church Two Locations" Congregational Update and Frequently Asked Questions, please stop by the church office to pick up the booklet. This publication is a summary of the multi-site church model for Simpson and Westlake, our purpose, high level structure, partnerships, finances and timing. At the direction of Rev. Dr. Steve Bailey, the NorthCoast District Superintendent of the East Ohio Conference of the United Methodist Church, Westlake UMC and Simpson UMC have formed a task force to study the feasibility of merging our churches into a multi-site campus; one church with 2 locations. Below is an update of Frequently Asked Questions. The Task Force is charged with studying the feasibility of Simpson UMC becoming a satellite campus through merger with Westlake UMC. The Task Force will present their findings and recommendations prior to any Church Conference vote and there will be many opportunities for congregational discussion prior to a Church Conference. Simpson UMC representatives are Janet Kappenhagen, Sandra Marinella, Angela Monsi, Jane Thorkelson, and Rev. Dianne Covault. Westlake UMC Representatives are Rev. Don Lefelar (Task Force Chair), Ellie Peiffer, John Rife and Rev. Mollie Brown. The Feasibility Task Force began meeting on Dec. 11 and have had a total of 3 meetings to date. The due diligence work was begun in late December and is still in process. WUMC Trustees are performing a facility review of the Simpson UMC property and capital needs as well as related paperwork such as property deeds, proof of insurance, insurance review report, etc. Simultaneously, John Rife of the Task Force has been meeting with Rev Dianne and the Simpson UMC Financial Secretary on the financial review which includes balance sheet, income statements, budget, payroll, contracts, utilities, etc. This work will be ongoing into early February. The Multi-Site Campus is a model of ministry that is used in The United Methodist Church and other denominations around the country. Garfield Memorial UMC, with its Pepper Pike and South Euclid campuses, is a local example of this approach to ministry. Ginghamsburg UMC in the Dayton area is another example. Ginghamsburg UMC has a Tipp City campus, a Dayton Campus called Fort McKinley, and a Trotwood campus called The Point. In our situation if both churches vote for a merger, we would become one church together with 2 campuses. Simpson UMC is located at the corner of Clark Avenue and West 86th Street in Cleveland. Founded in 1898, the church is celebrating 120 years of ministry. Simpson has one Sunday Worship Service at 12 noon and an afternoon Youth & Young Adult group that worships at 3pm. The average weekly attendance reported for 2017 is 31 down from 37 the previous year. Paid staff includes a quarter time Pastor (10 hours/week) and part time Music Director. All other positions are volunteer. Statistical data from Mission Insite provided by the East Ohio Conference indicate that approximately 30% of the population within a 2 mile radius of Simpson live below the poverty level. Westlake UMC is located at the corner of Center Ridge Rd and Glenmore Ave in Westlake. The church was founded in 1825 as the Dover Methodist Episcopal Church. Westlake has three Sunday worship services; 8:15pm - Reflective, 10am - Traditional, 11:28 - Contemporary. The average weekly attendance reported for 2017 is 291 which is consistent from the last 2 years. Paid staff positions include a full time Senior Pastor and Office Coordinator and 12 part time employees: Organist, Choir Director, Children's Choir Director, Contemporary Worship Leader, Finance Manager, Custodian, Stephen Ministry Coordinator, Communications Coordinator, Small Group & Welcoming Ministries Associate, Director of Faith Formation, Youth Coordinator, Nursery Coordinator and 3 Nursery Assistants. Statistical data from Mission Insite provided by the East Ohio Conference indicate that approximately 4% of the population within a 2 mile radius of the church live below the poverty level. Both churches have a foundation of very similar core values and healthy congregational dynamics that make discussing a merger possible. The churches have demonstrated a commitment to urban ministry in areas of Cleveland where other United Methodist churches have closed. It provides increased opportunities to be in mission and service beyond acts of compassion, as together we can better address root causes and help break the cycle of poverty. A merger provides resources to keep the church focused outward on making disciples of Jesus for the transformation of the world. A merger would increase the diversity of the combined church moving us to be more representative of the body of Christ. The two churches would become a multi-site campus church. Westlake UMC would be the surviving entity with a Westlake Campus and a Simpson Campus. The transition issues are being discussed by the task force and would likely continue to be worked out throughout the first year if both churches vote for a merger. The Multi-Site Campus is a model of ministry that has a proven track record in The United Methodist Church and in other denominations around the country. The Financial due diligence is almost complete. Information to date indicates that Simpson UMC has some cash reserves that are used to supplement annual income to meet current expenses. The Simpson facility review is in process with the building walk through complete but results and implications are not available as of this publication. The Task Force has identified staffing necessary to grow the mission and ministry in the Simpson Church neighborhood. A 1/2 time Clergy appointment (up from the 1/4 time Clergy currently serving at Simpson), with a priority on being relational, innovative/entrepreneurial, and a self motivated community organizer, is needed to continue to expand ministry in this area. The Task Force has begun to identify the joint leadership structure of the 2 campus church. There would be a minimum of 1 person from the Simpson Campus serving on each of the 5 committees specified by The Book of Discipline: Staff Parish Relations Committee, Finance, Trustees, Leadership Council and Nominating. Task force members are scheduling a meeting with District and Conference personnel to discuss financial and clergy support for the merger. The task force members are available for questions at anytime. A church wide congregational update will be held on Sunday, February 25, 2018 at Simpson UMC at 1:30pm and at Westlake UMC in the sanctuary at 3pm. As the merger affects Clergy appointments, the window for making a decision is shortening as the appointment season has already begun. The task force is working toward being able to hold a church conference in late March at which time both congregations would vote for or against the merger. The date will be confirmed as soon as possible. Per The Book of Discipline of the United Methodist Church, all professing members of the local church present at the church conference may cast a vote.